I am an award-winning performance maker, cellist and composer and the recent recipient of a Children’s Theatre Fellowship from The Arts Foundation. My performance ‘Sonata for a Man and a Boy’ was the winner of the 2013 Critics’ Awards for Theatre in Scotland award for Best Production for Children and Young People. 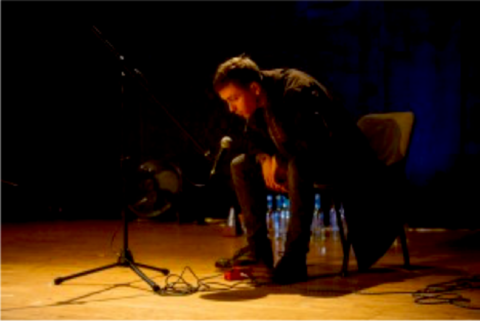 My solo show I Do, Do I won the inaugural The Arches and Summerhall’s Autopsy Award, was a critical success at the Edinburgh Festival Fringe 2014, and was selected for Brighton Festival 2015. My performance work presents music and sound within a live art context. I collaborate with children and young people to make my performance work, finding inspiration in their creative imaginations. I have undertaken artist residencies with the Unicorn Theatre, Citizens Theatre, Imaginate, and the Scottish Chamber Orchestra. I was one of only 10 artists selected for the Auteurs programme by National Theatre of Scotland and The Arches and have been a recipient of an Artist Bursary from Creative Scotland. As a composer / performer I have worked with companies including: Lung Ha, Dundee Rep, Fish & Game, Macrobert, Frozen Charlotte and Starcatchers. Greg has been working with Imaginate on the Livescore project in 2016. I am very excited about the opportunity to devise livescore, a digital youth arts project in partnership with Imaginate. This has been a fantastic way to further explore and develop some key themes within my arts practice: creating contemporary performance that starts with a musical idea, and collaborating with young people to make my work. While I would never describe myself as a digital artist I do incorporate digital elements into my work through sound design, video and projection. For me, digital art practices are an extension of my human connection, creation and understanding of art. The musical starting point for livescore is the concept of alternative scoring systems: graphic scores -where pictures, graphics, colours, graphs, photographs etc. are used in place of or alongside more traditional forms of music notation, and instruction scores (sometimes referred to as text scores or event scores) – where written instructions form the starting point for an interpreted performance. I use graphic scores all the time in workshops with young people because they don’t require any specific musical training, you just have to have a creative open mind to figure out what sound would best represent a blue triangle! I really love the way that these scores have to be interpreted; there’s no correct way of performing them. And that’s what is most exciting about using them in livescore – we are working with young people in different locations: Edinburgh, Glasgow, Dunoon, the Isle of Coll, and Ghent (Belgium). By using the same scores as starting points in each of these very different geographical locations and with very different people I hope to find surprising differences and similarities that celebrate individual creativity. The performance I will make as part of livescore is called As The Crow Flies. I will collaborate with some of the young people form the workshop process to make the piece which will be performed by myself live alongside livestreamed video of young people in different locations projected into the space. I was excited to find a process of working with young people as co-performers in a way that didn’t get caught up all the planning that goes with that particular process. Ultimately I have set up a process with its own particular set of problems – mostly to do with broadband speed! I want to use various digital technologies within the piece to enhance the human connections between myself and these young people. The title for the piece comes from thinking about that imaginary line that connects different locations together. A straight line that a bird would follow but humans cannot. 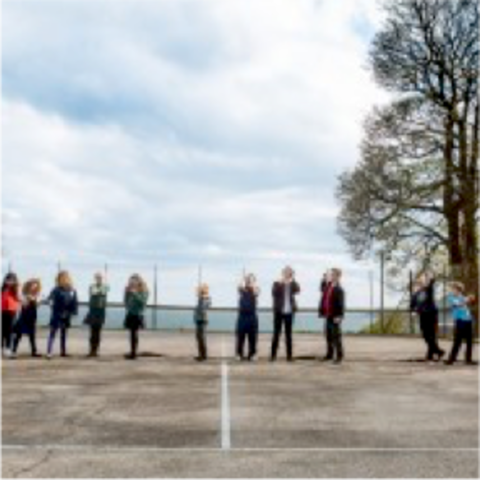 It’s kind of how I think about digital communication – because I can’t see the data being transferred from my laptop to a school on a Scottish island or a theatre in Belgium I imagine it as a digital invisible straight line.